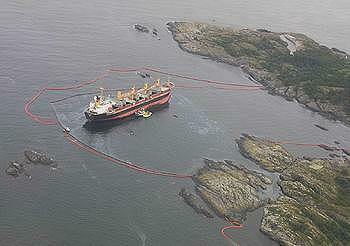 OSLO, Norway, December 1, 2011 (ENS) – After an oil spill at sea, toxic substances in the spilled oil can continue to damage marine life for a long time, even though the oil appears to be cleaned up, according to a new study by researchers from Norway, the UK, Spain and France. To help define a European strategy for risk assessment of accidental marine pollution, the two-year research project Toxprof examined the impacts of oil discharges along the coasts of Europe. The researchers studied the effects of several types of oil, including common Arabian light crude and oil from the Norwegian Ekofisk field, in addition to the diesel fuel commonly burned by ships. “We found that the oil can become more toxic and harmful during the breakdown process,” said Toxprof researcher Ketil Hylland, a professor of toxicology at the University of Oslo’s Department of Biology. The experiments were carried out at the University of Oslo’s marine biological station at Drobak, located on the Oslo Fjord. Seawater was pumped through coarse sand containing oil that was partially broken down by ultraviolet radiation. The oil then floated into aquariums containing cod, mussels or spotted goby. 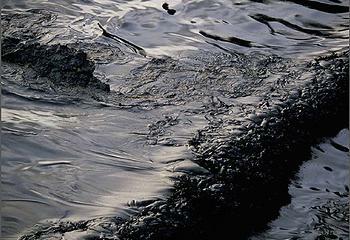 In this way, the researchers controlled the concentrations of the oil’s environmentally hazardous components. “The trials showed that the effects changed over time and lasted more than three weeks,” he said. 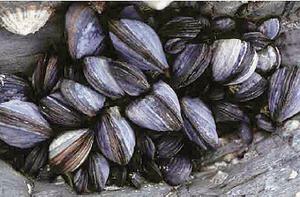 Each oil type had a different profile in the fish and mussels investigated. “Using different methods, the project participants observed effects that clearly demonstrated that the contaminants in oil can potentially lead to DNA damage and cause oxidative stress in the experimental organisms,” said Hylland. “The research clearly indicates that even though the oil disappears from the seawater surface and beaches after a spill, the toxic substances in oil can still cause adverse effects long afterwards,” he said. Major oil discharges such as the BP Deepwater Horizon spill of nearly five million barrels in the spring and summer of 2010, or the 2009 grounding of the Panama-registered cargo ship Full City off Langesund, Norway, have “wrought havoc on the natural environment,” the researchers said. The study shows that oil components have widespread long-term impacts that could extend to several generations of fish if exposure to these toxic substances changes the timing of their spawning. The research originated in 2006, when the Oslo and Paris, OSPAR, Commission requested that the International Council for the Exploration of the Sea, through the Working Group on the Biological Effects of Contaminants, consider and assess the long term impact of oil spills on marine and coastal life and provide a guidance document on the use of biological techniques to remediate oil spills. The working group concluded that research was needed on the toxicity profiling of the major oil types transported within EU waters. Four oils were selected: Ekofisk (North Sea), Angolan Dalia, Russian Export Blend, and Arabian Light from Saudi Arabia. Heavy fuel oil and diesel also were studied within the project. The effects of all these oils were examined using the suite of bioassays and biomarkers recommended by the ICES working group. This research is closely aligned with the RAMOCS project on Implementation of Risk Assessment Methodologies for Oil and Chemical spills in the European Marine Environment, that is developing fingerprinting tools for heavy oils and new products and assessing their risk in spills in different European regional seas scenarios.